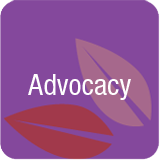 Caregiving Advocacy – Education for caregivers who may be unfamiliar with aspects of caregiving and healthcare promotes advocacy. Caregivers and those needing care often feel vulnerable to organizations or systems of which they have little knowledge. This vulnerability places caregivers, those needing care and their families at risk of receiving substandard care or of making poor decisions due to lack of information. Make sure you and your loved one receive care that’s beneficial and needed. Health care providers avoid uncomfortable discussions. For caregivers, not asking the right questions, leads to faulty results. I recently received a telephone call from the housekeeper of an elderly woman named Shirley who was concerned that her client was alone and had serious health concerns. She called, frantic because Shirley was starving herself. The housekeeper reported that Shirley told her that she wanted to die. Interview With Thea Cooper, Author and Historian (podcast 11:12 playing time) Click play below to listen.